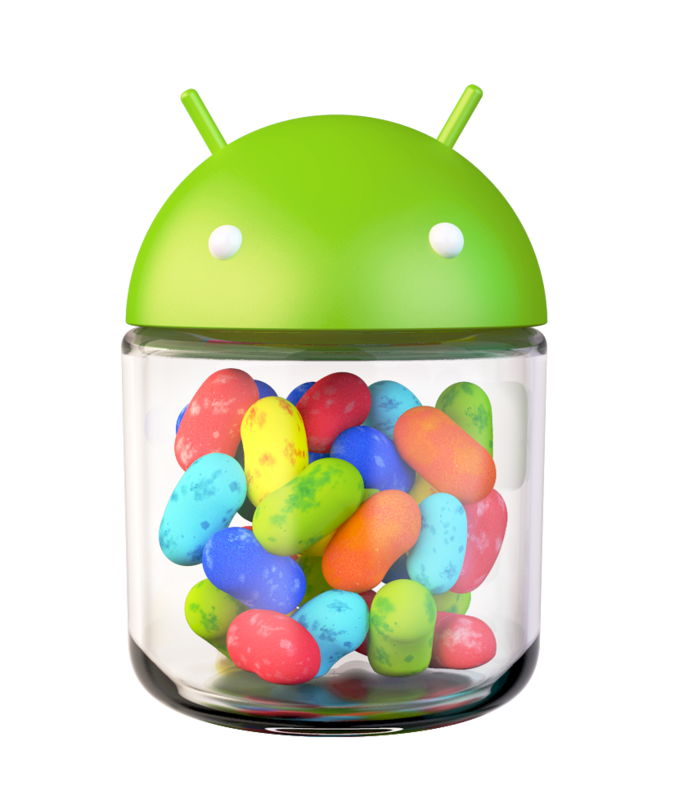 At Google I/O today we announced the latest version of the Android platform, Android 4.1 (Jelly Bean). 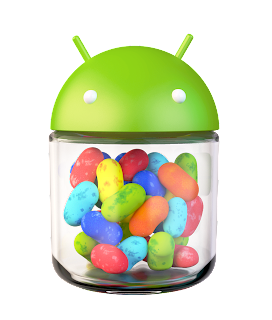 With Jelly Bean, we’ve made the great things about Android even better with improved system performance and enhanced user features. Improvements include a smoother and more responsive UI across the system, a home screen that automatically adapts to fit your content, a powerful predictive keyboard, richer and more interactive notifications, larger payload sizes for Android Beam sharing and much more. For a lowdown on what’s new, head over to the Jelly Bean platform highlights. Expandable notifications: Android 4.1 brings a major update to the Android notifications framework. Apps can now display larger, richer notifications to users that can be expanded and collapsed with a pinch. Users can now take actions directly from the notification shade, and notifications support new types of content, including photos. Android Beam: In Android 4.1, Android Beam makes it easier to share images, videos, or other payloads by leveraging Bluetooth for the data transfer. Bi-directional text support: Android 4.1 helps you to reach more users through support for for bi-directional text in TextView and EditText elements. Gesture mode: New APIs for accessibility services let you handle gestures and manage accessibility focus. Now you can traverse any element on the screen using gestures, accessories, you name it. Media codec access: Provides low-level access to platform hardware and software codecs. Wi-Fi Direct service discoverability: New API provides pre-associated service discovery letting apps get more information from nearby devices about the services they support, before they attempt to connect. Network bandwidth management: New API provides ability to detect metered networks, including tethering to a mobile hotspot. For a complete overview of new APIs in Jelly Bean, please read the API highlights document. Note that this is a preview of the Jelly Bean platform. While we’re still finalizing the API implementations we wanted to give developers a look at the new API to begin planning app updates. We’ll be releasing a final platform in a few weeks that you should use to build and publish applications for Android 4.1. Smart app updates: For Android 2.3, Gingerbread devices and up, when there is a new version of an app in Google Play, only the parts of the app that changed are downloaded to users’ devices. On average, a smart app update is a third the size of a full apk update. This means your users save bandwidth and battery and the best part? You don’t have to do a thing. This is automatically enabled for all apps downloaded from Google Play. App encryption: From Jelly Bean and forward, paid apps in Google Play are encrypted with a device-specific key before they are delivered and stored on the device. We know you work hard building your apps. We work hard to protect your investment. Starting from today, over 20 Android sessions at Google I/O will deep-dive in many of these areas. Join us in-person or follow us live.